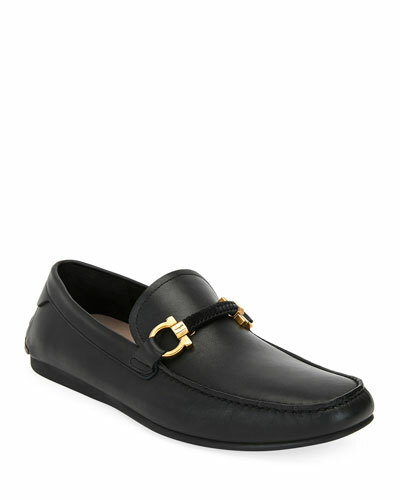 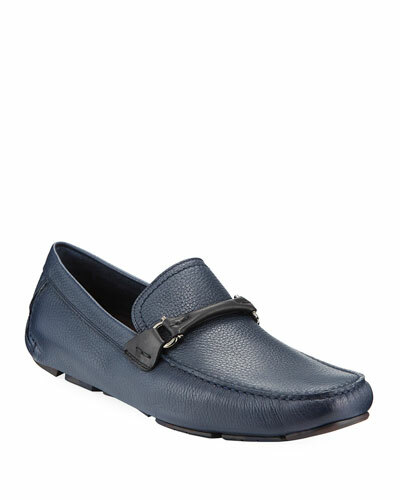 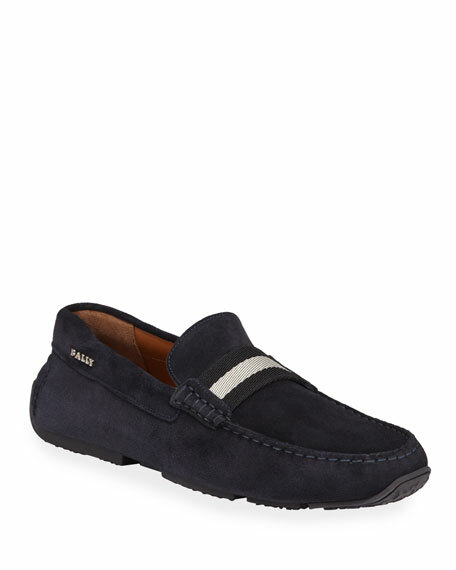 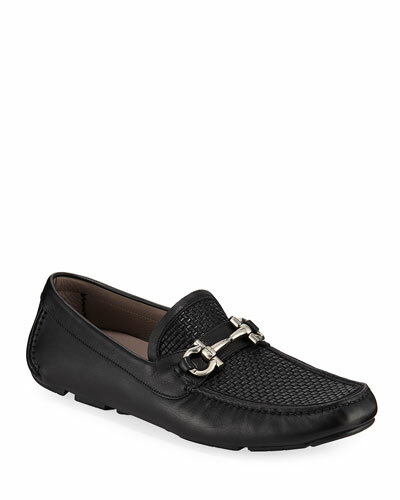 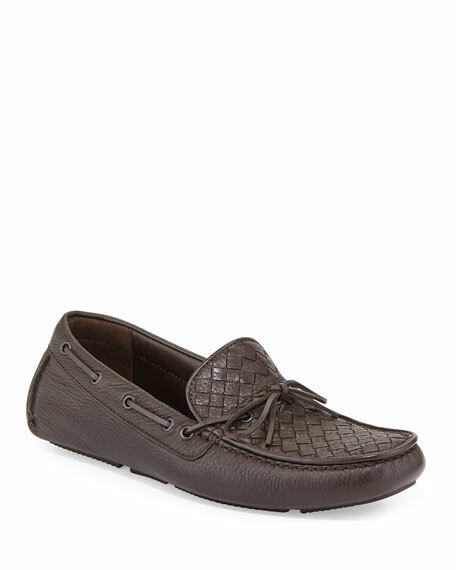 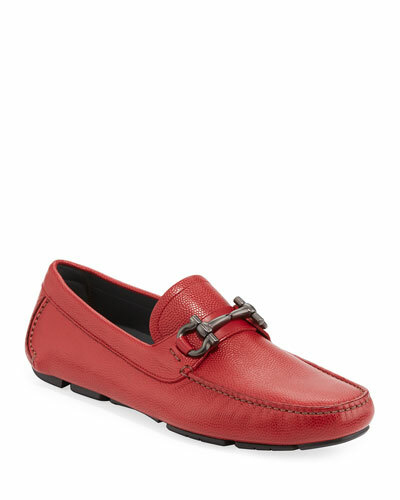 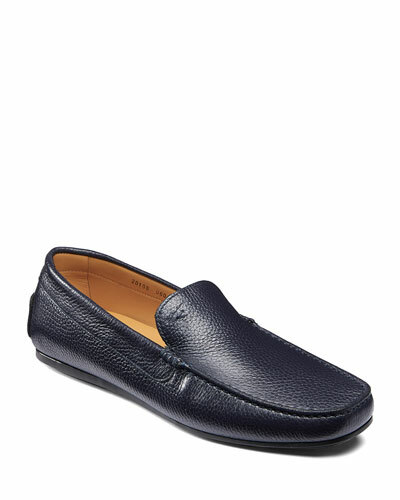 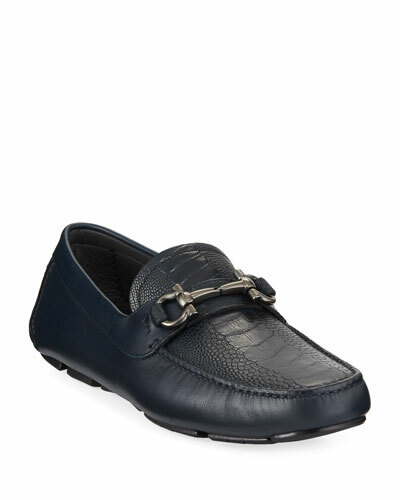 Bottega Veneta deerskin leather driving shoe with signature intrecciato woven vamp. Moccasin toe. Lace-up front; 360-degree lacing. 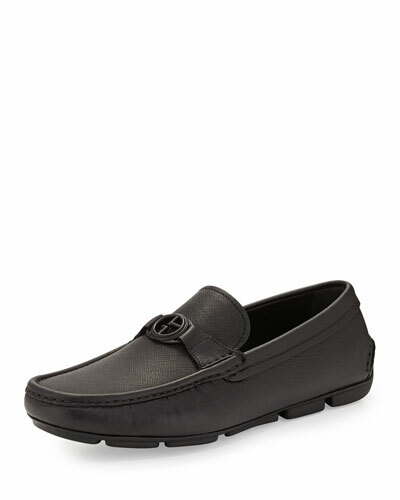 Rubber driving sole. Made in Italy.